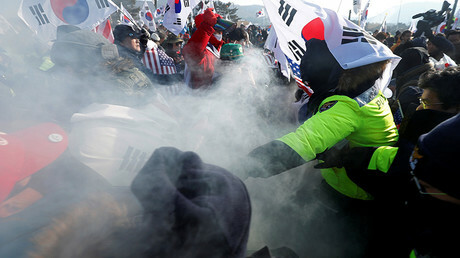 Police in South Korea pushed their way through a protest rally being held in Seoul to put out fires started by activists opposed to the rapprochement with the North and its participation in the Olympic Games in PyeongChang. The activists had gathered in South Korea’s capital on Sunday to voice their discontent about North Korea’s participation in the PyeongChang Winter Olympics. Chanting “Let’s tear Kim Jong-un to death!” the crowd ripped up posters of the North Korean leader and burnt images of him, as well as the North Korean flag and posters of a united Korea, until police ran in to put it out. The rest of the protest was otherwise peaceful, with songs and flag-waving. Sunday’s demonstration was held near a theater where Kim Jong-un’s sister Kim Yo Jong and President Moon Jae-in were going to watch a performance by Pyongyang’s Samjiyon Orchestra, part of the hundreds-strong delegation the North sent down for the Olympics. 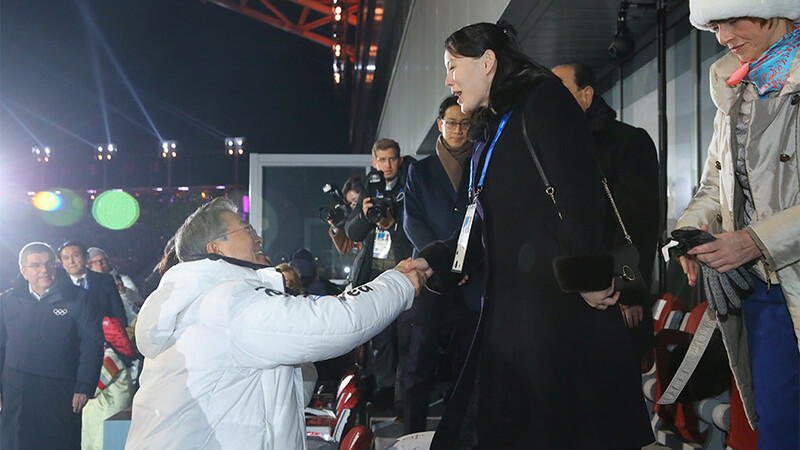 Kim Yo Jong is the first member of the ruling Kim dynasty to visit the South since the end of the Korean war. Despite the stand-off over nuclear weapons and ballistic missiles fueled by the United States’ rhetoric, President Moon has adopted a more conciliatory tone than some of his predecessors. 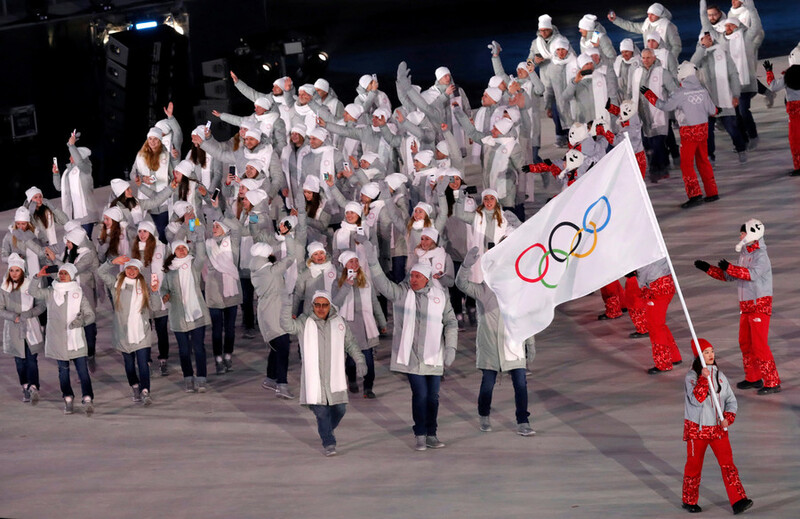 The Olympic Games have become a striking example of the two Koreas putting politics aside. 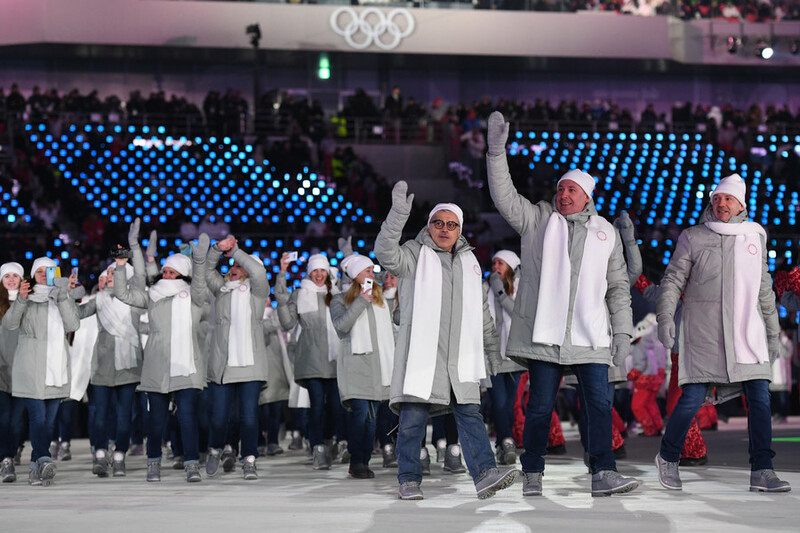 They marched in the opening ceremony under one flag and entered a unified women’s ice hockey team. However, the rapprochement of the two Koreas has angered conservatives, especially among younger South Koreans who, unlike their parents, have grown up in a cosmopolitan democracy and have fewer ties to the North. There have been several protests against the North held in recent weeks. Earlier this week some 800 activists waving South Korean and American flags clashed with riot police near the PyeongChang Olympic stadium. 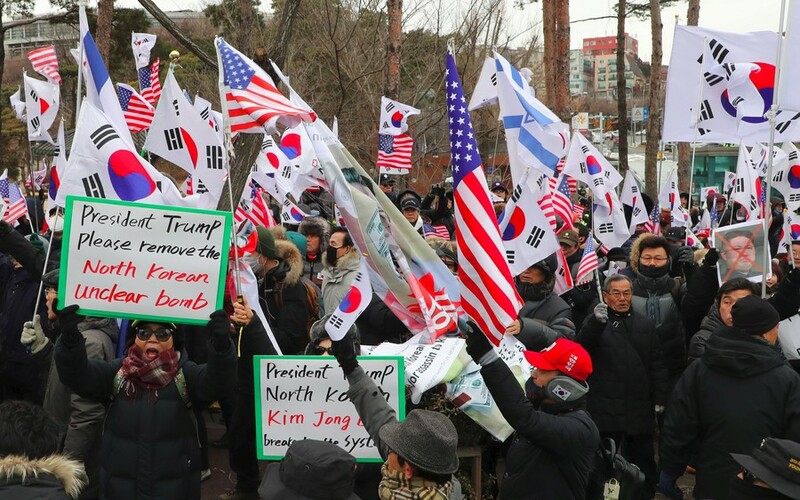 One banner seen at the rally even called on US President Donald Trump to bomb the North. 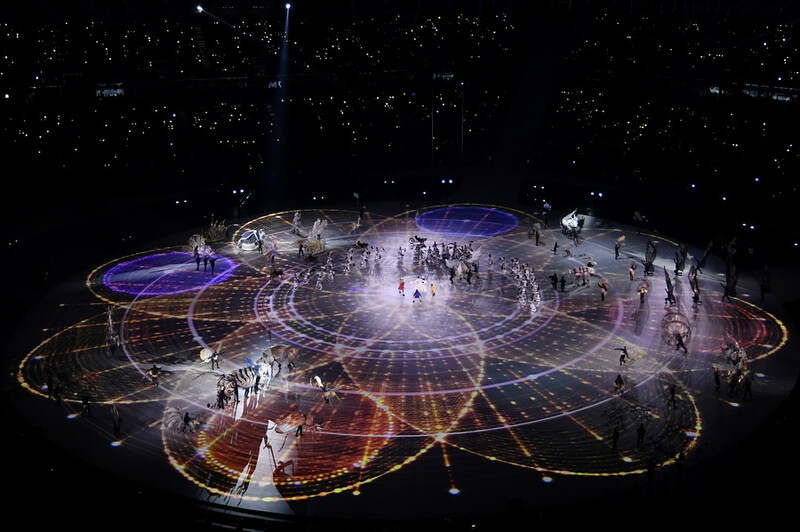 Korean ‘Olympic truce’ fosters hope for detente, but would current world order allow it?